Top 100 … country? … album! 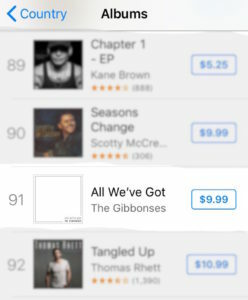 This is neat … The Gibbonses and I have a top 100 country album! You should check it out. It’s a good record. Even if you don’t like country! It’s not really country. It’s just good music. But, hey, I’ll take the chart placement; that’s really cool. Written by Shannon (read what she wrote about it here), produced and mixed by yours truly, video filmed nationwide by our people and edited by Shannon. We hope you love it. Surprise! Shannon and I just put out a new record. Shannon and I surprise-released an all-new acoustic album yesterday! It’s a palate-cleanser after the heaviness of The Space Between. Personal Songs Volume 3 is just piano and voice, mostly love songs. Happy holidays … we hope you love it. Because we’re constantly experimenting with new ways to release music, we released this one in our Patreon. I’m interested to see how that goes. I’m thrilled to be able to share this with you. Christen and I worked on this record for well north of a thousand hours, over a period of four years. And it’s out today. This is classical music, sort of. It’s also indie music, sort of. And soundtrack music, and ambient music, and industrial music, at times. Sort of. It’s its own thing. We’re enormously proud of it. I hope you love it. Check out this excellent, trippy video for the first single from the new Skyterra EP that we made this spring! May I keep it super real for one minute? Shannon and I don’t make a ton of money. Don’t be worried for us – that’s not the point – we’re doing okay. But we’re a married pair of working artists. And, to be perfectly clear, neither of us has a trust fund. And we haven’t gotten a grant or other massive cash infusion at any point. We earn our living by engaging a small community of people as directly and intently and intensely as we can – by working as hard as we can literally every single day to create as much value and inspiration and hope and art for you as we are able. It’s what we were meant to do, and it’s the best thing in the world, but it’s not lucrative. I know, I know, you’d think we were getting filthy rich playing shows for 40 people at a time in backyards and living rooms – but, no. We’ve gotten ourselves to the point where we’re stable, and debt-free, and we’ve even started to save a tiny bit. For a married pair of working artists, this is a miraculous achievement. But 7 or so years ago, when we started building this current thing that we do, things looked a lot different for us. 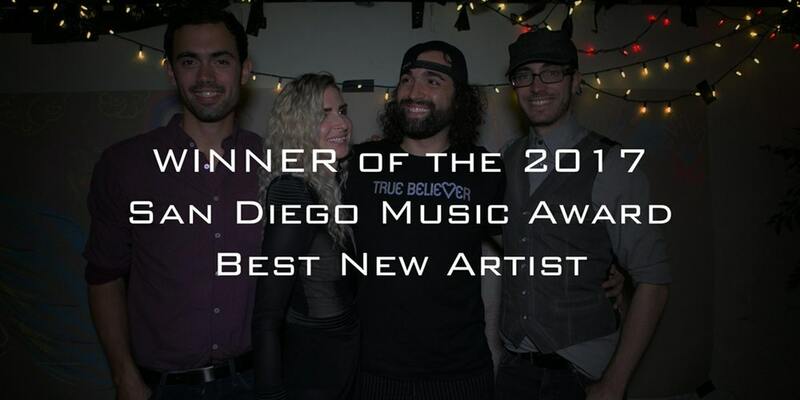 I had been touring with bands for a living, but the bottom fell out of the music industry in the 2010 streaming-related meltdown, and my work dried up. Meanwhile, Shannon had accidentally let her substitute teaching credential lapse due to missing a renewal letter while on one of her myriad tours playing to 8 people a night in coffeeshops, and the state was in a hiring freeze so she couldn’t get it back. So while we would have liked to have a transition period, what actually happened is that we both got thrown in the deep end, and without much warning at all in 2010 had to start supporting ourselves 100% as full-time artists. Oh no! But there was one thing – one key thing – that provided us a bit of relief, which proved absolutely invaluable in making this transition: the Afforable Care Act, which had been enacted just months prior. Because of the ACA, and because we were basically living in grinding poverty, we qualified for California’s Medicaid expansion – which took our health insurance costs from $509/month down to $0/month for those crucial transitional years. This is literally the thing that made it financially possible for us to start our careers. To put it another way: the ACA gave us grace, and it gave us freedom. Because of the ACA, we had the freedom to take a huge entrepreneurial risk, and to work our asses off on building this thing that you all now know us for – and which I know from the constant messages we receive and conversations we have brings a tremendous amount of value and solace to the lives of a large number of people. Would you prefer that we’d not had this chance? Would you prefer that we, and people like us, should have to make the terrifying choice between a) spending 1/3+ of our income on insurance premiums, b) giving up and settling for some meaningless desk job because it comes with health insurance, or c) pursuing our dreams, but at the terrifying risk of permanent financial devastation if we have an unexpected medical emergency arise? That’s a terrible choice to ask would-be American entrepreneurs to contemplate, to say nothing of artists, whom I believe deserve special consideration, although I admit to being biased on this point. Give this a moment’s thought, then call your Senator. The time is right now. The things the rich will take from us know no bounds; and they won’t rest until they’ve taken everything. Resist. “The Space Between” is out today. Without further ado … here’s this year’s record. It’s been a stressful year. So we did something new, and somewhat extraordinary – we invented something called an “audio play.” This is a set of 10 songs, connected by spoken-word storytelling, underpinned by environmental recordings, movie-like sound effects, and score. The whole experience runs a seamless 67 minutes, and is like seeing a one-woman theater show, with no visuals. We hope you love it, and that it helps provide some meaning, context, and hope for you in these difficult times. Hang in there. It’s heavy. Horses for courses. Here’s a brand-new video (highly excellent) by a brand-new band (from Finland) for a brand-new song (which I mixed). Sort of industrial-goth-trip-hop, perhaps. Featuring Kauko Röyhkä, who is a legend. I’m honored to be involved. Great song, too. Have a listen!